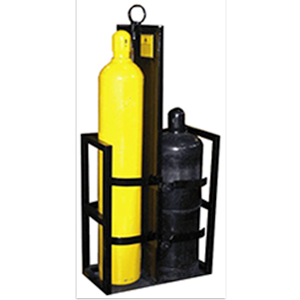 Our CR-550 series is designed to provide you with secure cylinder storage that is capable of quick and easy transportation. Constructed from 2″ square tubing and a 3/16″ steel baseplate, these racks are designed for durability. The CR-550-FW (above) features a firewall.